It’s amazing how quickly time flies, isn’t it? I can’t quite believe we’re nearly halfway through the year, the days and weeks are flying by so quickly. What’s even more unbelievable is that it’s been almost 4 years since I collaborated with Timex on their Style of the Times campaign. We were definitely well overdue a reunion so I was delighted to catch up with Team Timex at their Summer Party at Shoreditch House on Thursday. While the Style of the Times campaign was all about fashion and I had the pleasure of getting styled and shot by Jackie Dixon during the shoot, Timex’s AW16 collection is all about customisation and mixing up your watch to match your style. The collection features a variety of watch faces and straps which can be put together, chopped and changed to suit your every mood. 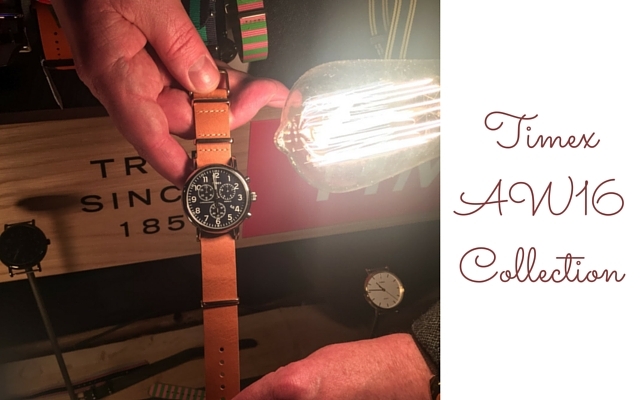 After checking out the collection dotted around Shoreditch House’s secret garden, I headed to the Mix Your Watch bar to put together my perfect watch with the help of the Timex team. After much deliberation, I chose a classic chronograph watch face with a beautiful tan leather Weekender strap. I love how dapper this combination looks and how much it contrasts with my black stainless steel Timex World Time watch. Thanks to the Timex Team for such a fun evening.